Providing quality maintenance and repair services for steam and power plants requires a thorough understanding of plant operations and design. Since each boiler plant’s design and operating conditions are different, maintenance and repair solutions must be tailored to meet the specific needs of each plant. 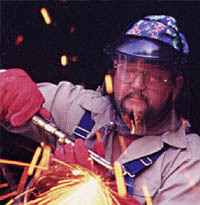 McBurney’s reputation has been built on many years of experience in the design and construction of various types of boilers and auxiliary systems from shop assembled package boilers to field erected boilers. This includes the supply and installation of boiler pressure parts, boiler casing, refractory, sootblowers, fuel systems, stokers, burners, air heaters, economizers, flues and ducts, fans, air pollution control systems, ash systems, feedwater systems, and boiler plant piping. 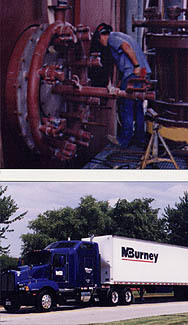 McBurney Power Services (MPS), a division of The McBurney Corporation, provides maintenance, repair, modifications, upgrades, and relocation of existing boiler plant facilities. MPS is comprised of an experienced team of professionals that has been assembled to provide maintenance and repair services specializing in meeting routine or emergency shutdown schedule requirements. All ASME Code work is monitored by the McBurney Quality Control Program and is performed in strict accordance with the applicable ASME Boiler and Pressure Vessel Codes, the National Board Inspection Code and any jurisdictional requirements that may apply. 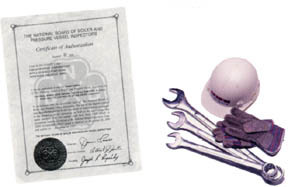 McBurney currently holds the ASME A, PP, and S stamps, and the National Board R certificate of authorization. We get the job done right – the first time! Think of McBurney as your outage team partner.